An important part of playing a musical instrument is performing. 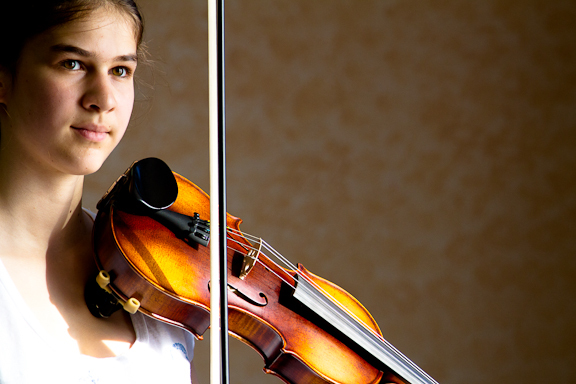 While not many students might end up playing professionally, to perform is a significant element in learning music. Part of my ethos at Stellar Music School is that music is ideally to be a shared experience – we share lessons, we play in groups, we sing in a choir, and then we share in concerts. I was an extremely nervous performer as a child, and I recall memory lapses, mistakes in concerts, nerve-wracking exams, and enforced performances for members of the extended family. The nerves do diminish, and I am a living testament to this. One of my proudest moments during our concert was when one of my teenagers who has previously made nerve-related performance mistakes every concert, played flawlessly. Another high point was when one of my little fellows who has been playing trombone for five months performed “We will rock you” and the audience, unprompted, clapped the response. For me, this is music: performance, sharing and joy, and this is what we experienced last Friday. The buzz of excitement and achievement is another way to inspire practice, and engender feelings of achievement and pride. You should practise playing piano every day. One of the problems with Generation Y is that they seem to have grown up getting used to instant gratification. Everything is readily available and Gen Y seem to leave university expecting a top-level job, without ever having to stuff envelopes, photocopy, or make coffee as the rest of us did when we worked our way up. This seems to extend to the younger kids, who want to play the piano as well as I do, but without putting in the twenty years of practice which I did. Unfortunately anything worthwhile tends to take effort. In fact, I believe that we don’t necessarily value things which come too easily for us. It doesn’t help that fame achieved through reality television shows seems to be the modern alternative to good old-fashioned hard work! It baffles me why people desperate to become chefs with restaurants/B&Bs/cafes see that a TV show is the only way to achieve this, rather than doing a course or apprenticeship and then working until they achieve their goal. How can we teach this generation that effort pays off and that things which take application can be a lot more meaningful than those things which come easily? They happily spend hours playing computer games and learning to excel in this area, but do not consider that is actually ‘practice’. Unfortunately music practice does not have the built in rewards, hooks and other motivators contained in computer games. I once endured an excruciating evening at a friend’s house, listening as their daughter “practised” the piano. She lurched through each scale and piece once, often incorrectly, then deemed her practice done. As specified in the above definition, practice involves repetition. I have suggested to all of my students that they play each song at least 5 times in their practice session. If it is a longer piece, then maybe play one hand 5 times, and the other hand 5 times the next day. Or break it into sections or pages and practise a section 5 times. It would be great if they played it 5 times correctly, rather than hurtling through and ignoring mistakes. In the same way, I don’t think it is too much to play each scale through 5 times. 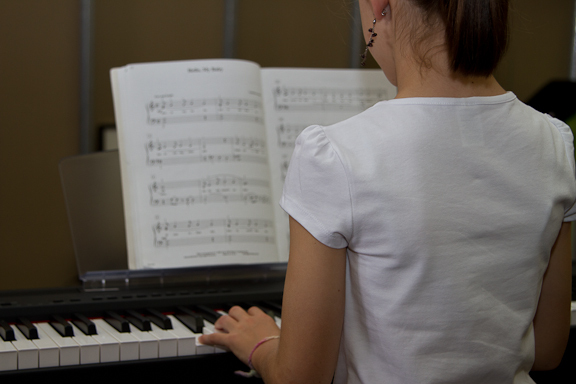 If boredom is an issue, then the student could play the scale in different rhythms, or a different dynamic (loud or soft) or with different articulation (staccato or legato). These ideas can be extended to many pieces in the repertoire. 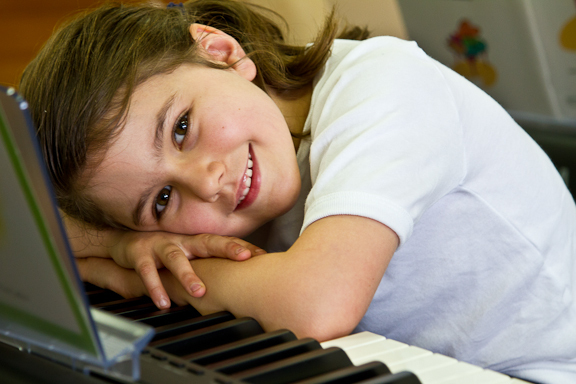 Maybe the practice session could be broken up by the student ticking or marking on a chart each correct time they play through the item, or perhaps they could receive a star or a sticker for each good practice. The reward of achieving a good performance in their next lesson, and accomplishing a personal goal in being able to master one piece at a time will hopefully continue to bring satisfaction and pride.